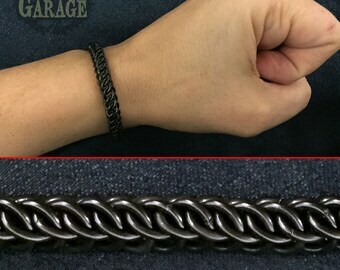 Steampunk Garage.. where hardware meets fashion. NEW! 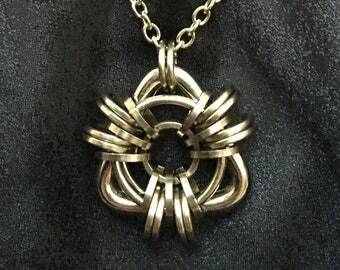 D20 Cage Medallion - Removable dice pendant! 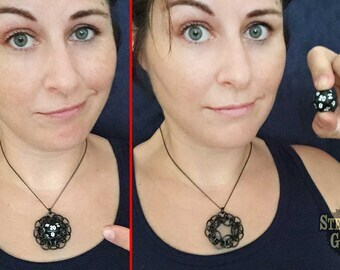 Forbidden Eye Crystal Knot - Jen Irwin Original Design! 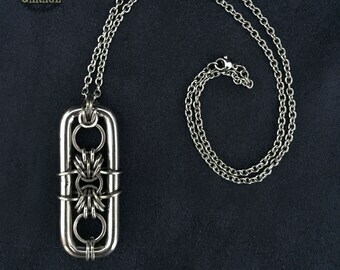 Necklace - Helm - Stainless Steel - Lightweight! 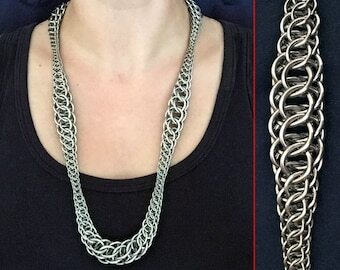 Four Winds Weave - Chainmaille Necklace - Adjustable! 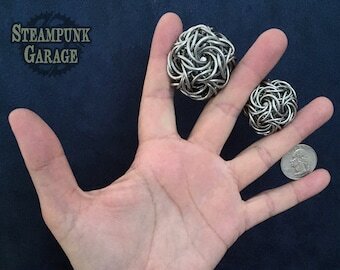 Byzantine SQUARE wire - Stainless Steel - Heavy duty! Awesome work and craftsmanship. I got a keychain chain and a chain made and they both turned out awesome. I love her work. I'll be purchasing more pieces in the near future. 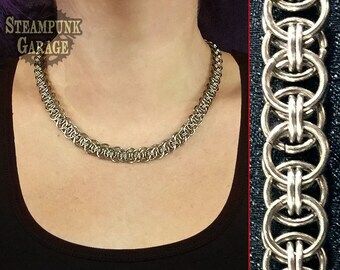 We take stainless steel chainmaille exchanges indefinitely. All of our pieces are guaranteed against abuse or defects for life. Free of charge. Anything. Seriously. Your items are made-to-order! All items take two weeks to make unless specified otherwise in the listing. If you need a rush order, please say so and Stan and Jen will work together on your single order to get it done as quickly as possible. If we change our clasps we are happy to upgrade your piece to have the latest closure at no extra charge. Any length adjustments are complimentary within two (2) inches.